Join our festival team and artists at our new Friday night venture: conversation, music and craft cocktails courtesy of Brandywine Bartending. At the Greenhouse studio at 9:30pm Friday May 25 and June 1 for a free public cocktail lesson followed by specialty drinks by Brandywine Bartendig and pints supported by Original 16. Brandywine Bartending owner and Upintheair Theatre co-Artistic Director Dave Mott gives a historic retrospective of a modern cocktail, its specialty ingredients, up to the moment preparation techniques and invites you to learn to mix. Follow it up with live music Clara Rose and Jack Ray as they share some instrumental tunes to relax your soul. Jack Ray is an Australian guitarist, banjoist and vocalist who has performed and recorded with some of Australia’s and the world’s finest musicians including, Angus and Julia Stone, Brad Shigeta, Kevin Louis, Jonathan Zwartz, Mike Price, Jim Elliot (The Cruel Sea), Amanda Brown (Go-Betweens) and many other great artists. Jack is currently based in Vancouver, BC and is in demand as a leader and sideman. He leads the groups The Milk Crate Bandits, The Jack Ray Organ Band as well as performing regularly with The Yardbird Sweethearts and The Jen Hodge All Stars. He Also founded the online-learning platform Jazz Banjo Academy. 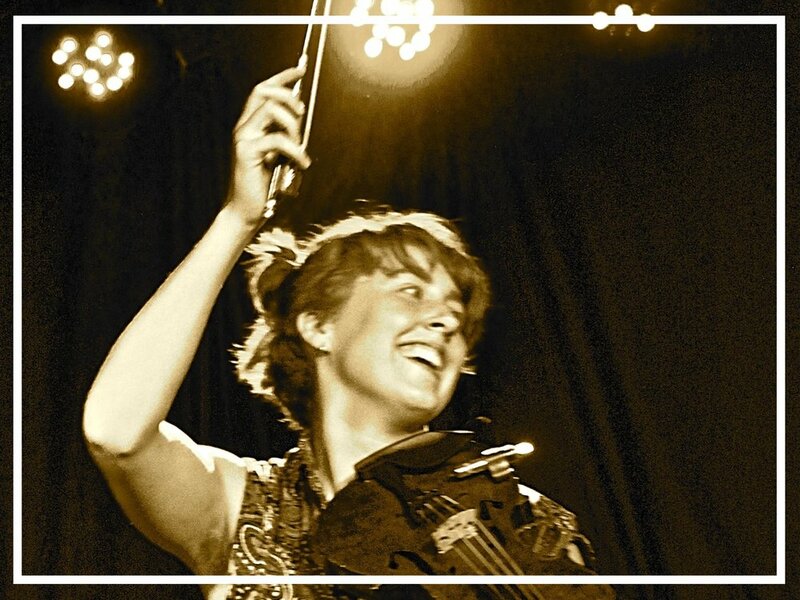 Clara Rose is a young, vibrant jazz and folk violinist from Vancouver, BC. Rose has studied with musical giants Mike Marshall, Julian Lage, Trent Freeman, Oliver Schroer, Jaron Freeman-Fox, Daniel Lapp and countless others. Her musical has a flair of youthful enthusiasm that will bring a smile to your face. Besides being co-Artistic Director of Upintheair Theatre, Dave Mott has been a head bartending instructor, award winning mixologist and judge, nightclub and event producer, as well as a cocktail menu consultant since 1996. 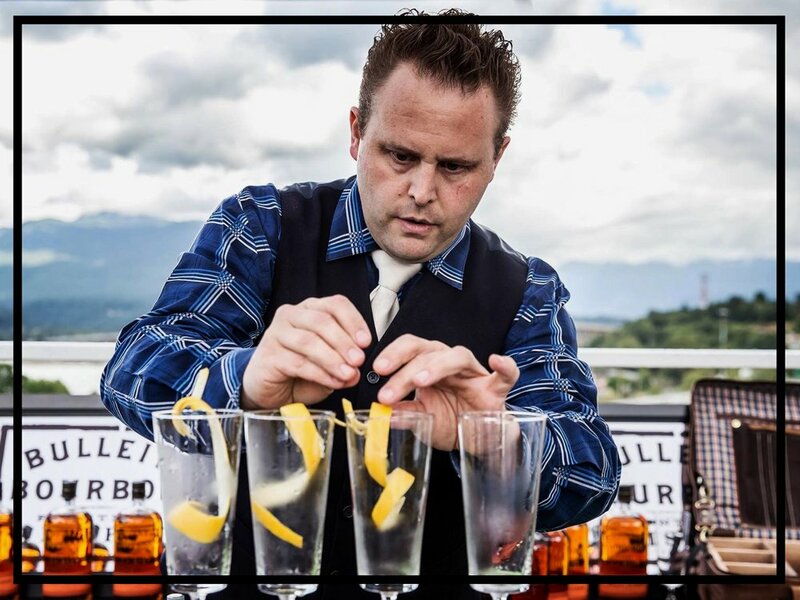 A master of cocktail balance, creation and classic recipes, he owns and works with his brother Geoff on Vancouver's best cocktail training and teambuilding venue at Brandywine Bartending School.